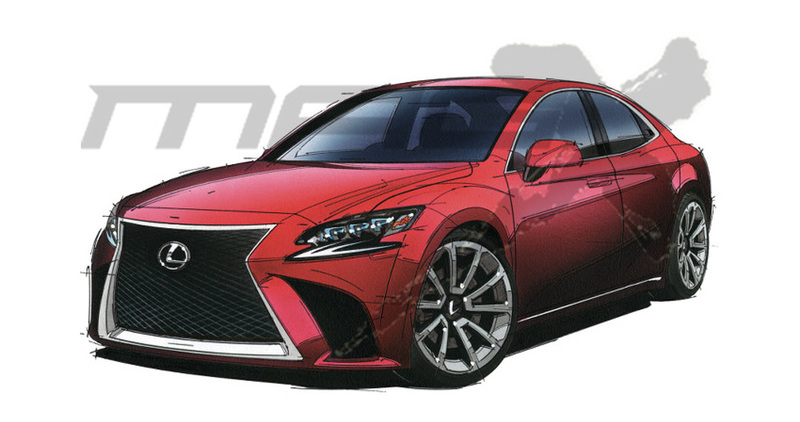 Mag-X in Japan did a bang-up job of rendering the next-generation Lexus ES sedan in their latest issue. This looks to be a continuation of the LS design, with a coupe-like roof line and bold body lines. The thick trunk and sculpted sheet metal show an ES much different that the current model — not surprising, given the ES looks to be getting its first F SPORT package. 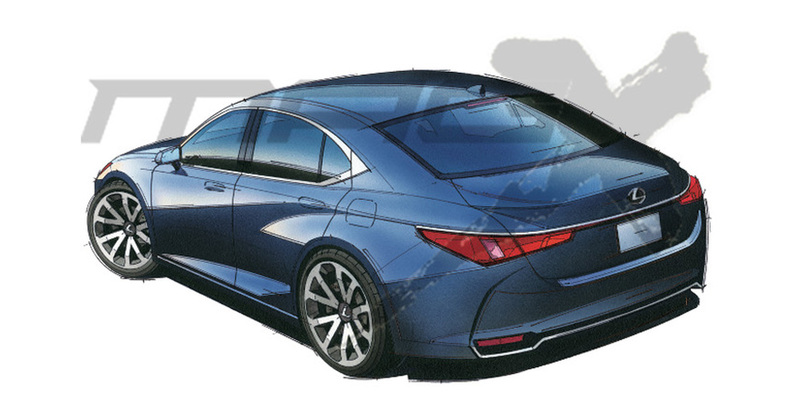 The high spindle grille and fender flares are interesting, but the proportions seem off — a design like this would be impressive, but it looks the same size as the IS sedan. The next-generation ES is a very significant model for Lexus, as rumors swirl that the car will become the default global midsize sedan in the lineup.